By Jon A. Jablon, Esq. Artificial reproductive technologies such as in vitro fertilization (IVF) have helped a growing number of people realize their dream of starting a family. And theyâ&#x20AC;&#x2122;re also elevating recruitment and retention strategies in highly competitive businesses. “something that should be covered by their health plan,” Ajmani observes. By green-lighting these benefits, employers would be serving both a business and moral imperative on behalf of their employees and dependents. Those without this coverage who are infertile end up paying more in so-called downstream maternity, delivery and neonatal intensive care unit (NICU) costs, especially across roughly two-thirds of the U.S. where there are no coverage mandates at the state level. And it can affect what their employer pays, as well as efficacy and outcomes. 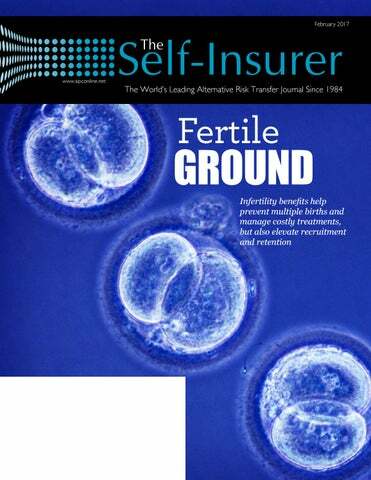 “Even if an employer’s health insurance benefits exclude coverage for IVF, there are hidden costs of infertility care that are being covered,” cautions Barbara Collura, president and CEO of RESOLVE: The National Infertility Association. “And if the employee decides to pay out of pocket, the health plan will cover the pregnancy, delivery and costs for the new baby.” She says research shows that when patients have insurance coverage for IVF, they make better choices about how many embryos to transfer and have fewer multiple births. A socalled singleton birth is far less expensive to the health care system than a multiple birth or even twins. With multiple births, Dal Cortivo says a benefit budgeted at $25,000 or $50,000 per employee could quickly turn into several hundred thousand dollars a year in claims for patients who end up in the NICU. Also, when these births are premature, they could be accompanied by a chronic illness. The goals are to help someone get pregnant as soon as possible and avoid multiple births. Companies that cover infertility treatments or adoption services will reap tremendous goodwill for cultivating a family friendly corporate culture, Collura believes. “More people are aware of infertility and its effect on people’s lives,” she notes. “If an employer recognizes this and offers benefits to ease an infertility diagnosis, employees will want to work there and will stay.” More than 7 million Americans are infertile, according to RESOLVE. But their ability to carry a child to term and afford potentially expensive treatments depends in part on where they actually live. Fifteen states require insurance coverage for infertility treatment. They include Arkansas, California, Connecticut, Hawaii, Illinois, Louisiana, Maryland, Massachusetts, Montana, New Jersey, New York, Ohio, Rhode Island, Texas and West Virginia. Of those states, eight have an IVF mandate and seven have a mandate to offer, which in essence does not increase access. RESOLVE is advocating for an IVF mandate in New York, and is also hoping to support legislation to add a mandate for fertility preservation in a few states in 2017. The fertility preservation mandates would be the first ever, Collura reports. In New York, whose state mandate includes unlimited coverage for artificial insemination but nothing for IVF, Dal Cortivo says self-insured groups may opt to expand the benefit to better meet their employees’ needs. He notes that infertility benefits typically are offered by fully insured health plans in markets where coverage is mandated. Some of those health plans offer a product rider to spread the risk, which can be very costly, since only a segment of the workforce will be affected. Employees who are concerned about using up all their benefits allowance or aren’t covered for infertility treatments “tend to migrate toward lower cost, higher risk care, which may not necessarily drive the desired results,” according to Dal Cortivo. Their employer also still will be subject to claims associated with dependents once they become pregnant and have a child, he says, which is why it behooves self-funded plans to become involved. With third parties validating and reviewing all self-funded claims, Dal Cortivo points to a deeper level of involvement in the self-insured community with regard to benefits management than fully insured arrangements. But success often hinges on clinical and education support for patients on the front end, which he says “is really critically important to the overall event, and that’s where the case management component comes in.” Ajmani agrees that self-insured employers have more leeway to design an infertility benefits program than fully insured health plans. For instance, they can transcend the basic network model featuring standard coverage with, say, a $10,000 maximum by adding concierge services and providing a value-based bundle on a true per-cycle benefit. Without annual coverage restraints, she says women who are trying to get pregnant needn’t worry about rationing their care, while doctors can practice medicine unencumbered. Many plans, especially those offered through a self-insured arrangement, are typically flatdollar reimbursements that are easier to administer. A 2015 Mercer study found that only 25% of employers are providing some sort of infertility coverage, though Ajmani cautions it could be something as simple as pledging to cover drugs associated with treatment options. However, those numbers are expected to swell, and it’s worth noting that her company’s business grew 185% in 2016. While few employers cover infertility benefits, Dal Cortivo agrees that the number is expanding, but that it depends on demographics and industry. “You’re more likely to see coverage in higher income white-collar groups, such as financial services, law firms, technology and pharmaceutical companies,” he reports, noting that traditional industries are joining the mix. Infertility treatments present what he calls “a unique occurrence that involves emotional, clinical and even technology support.” That effort includes the use of pharmaceuticals, which Dal Cortivo says can drive 30% to 40% of the benefits spend. Such treatments fall into the category of specialty pharmacy drugs that are typically mail ordered or shipped to the home. Nurses are made available 24/7 to help guide and manage patients through the process, including administering and storing these drugs. Dosing management plays a particularly critical role. For example, proper storage could preserve drugs for a second cycle in the event of a failed attempt at pregnancy. Given the Rx layer, it’s common to see flat-dollar allowances on the drug side. “You might have a benefit that covers $25,000 for medical and $10,000 for pharmacy, and those will be lifetime maximums where if you have a per-cycle benefit on the medical, you still may have a lifetime maximum on the Rx,” he explains. The potential cost savings associated with a carefully managed self-insured infertility benefits program can be substantial. WINFertility pledges up to 45% in NICU savings, up to 40% in medical savings and up to 30% in pharmacy savings, as well as a 49% reduction in high-order multiple gestations. In one health plan case study involving nearly a million members since 2003, there was a 25% reduction in infertility costs, more than $30 million in savings reported in 2012, nearly $5 million in NICU savings and more than $200 million in savings since the inception of the employer’s contract. multiple birth rate for ongoing pregnancies is just 4% compared with the national average of 28%. Moreover, her firm’s predicted ROI for employers is about 30% based on their size, geographic reach, patient medical histories and outcomes. A personal journey For Ajmani, helping infertile women become pregnant is part of a personal mission. The struggle took a serious toll on her physically, mentally and professionally for three years. She eventually had a healthy boy on her first try of IVF. Still, Ajmani laments that she could have saved herself “an immense amount of pain on so many levels” if she had access to a fertility patient advocate who could have intervened much earlier to suggest the right treatment course. he language is exceedingly common within benefit plans. We’ve all seen it; in order to appeal a denial, a medical provider must be specifically appointed by the patient as the patient’s “authorized representative.” Only members may appeal their own claims, unless they appoint someone to do so. Some third-party administrators and plan administrators even have a form that a member must fill out. These are long-held maxims by many – but are they truly compliant? In what it has deemed a frequently asked question, the Department of Labor, in its Benefit Claims Procedure Regulation FAQs1, has asked itself “Does an assignment of benefits by a claimant to a health care provider constitute the designation of an authorized representative?” The Department of Labor simply, and helpfully, led its answer with the word “no.” To elaborate on this “no,” the DOL wrote that “Typically, assignments are not a grant of authority to act on a claimant’s behalf in pursuing and appealing a benefit determination under a plan.” But how much does that truly clarify? Without some context, it is fairly unhelpful – and in context, it is revealed that this guidance from the DOL is somewhat inaccurate. An authorized representative is one who is authorized to act as the representative of another – a description that could scarcely be any clearer. In our sense, an authorized representative is generally used in the context of the right to appeal. To illustrate the utility of this concept, consider three scenarios; in all three, a plan member has received services from a non-contracted medical provider, and in all three the Plan’s available benefits are not quite enough to cover the provider’s full billed charges. Appeals will occur – but the difference in the scenarios hinges on exactly who is appealing, and on whose behalf. In scenario number one, the health plan systemically prohibits all assignments of benefits, and pays benefits directly to the member. The member endorses the Plan’s payment to the provider to compensate the provider for its services – but the provider is dissatisfied with the payment amount. In this scenario number one, the provider may not appeal to the health plan unless the provider appeals on the patient’s behalf, since the provider itself was due benefits from the patient, rather than from the health plan, since there was no assignment of benefits – and in such case the provider would need to be appointed by the member as the member’s authorized representative, since the provider has no independent right to benefits from the health plan in this scenario. members may appeal, unless the member fills out a specific form to authorize the provider to appeal on the member’s behalf. How compliant is that, though? Might the health plan be at risk of noncompliance if it denies providers the right to appeal their own claims? An authorized representative, as described above, is one who is authorized to be the representative of another. In a case such as this, a medical provider might be authorized to act as the representative of the member, therefore becoming the member’s personal representative. According to these regulations, not only are claimants afforded the right to file claims, but they are also guaranteed the right to appeal, by imposing this responsibility upon the health plan to afford claimants the right to appeal. The relevant regulations unambiguously explain that a claimant may appeal an adverse benefit determination. Moreover, the text of ERISA itself provides that “A civil action may be brought…by a participant or beneficiary…to recover benefits due to him under the terms of his plan, to enforce his rights under the terms of the plan, or to clarify his rights to future benefits under the terms of the plan.5” To simplify, again, claimants can sue for benefits. Since medical providers are claimants if they are assigned plan benefits, then providers can appeal and ultimately sue if necessary. As another court wrote, somewhat more bluntly, “the assignment is only as good as payment if the provider can enforce it.6” This is a matter of public policy, and seems fairly intuitive; if a provider has the right to submit a claim, and the health plan has the right to tender a denial of that claim, practically speaking, why should the provider not also have the right to appeal the denial of its claim? claimant. According to applicable law, however, either the provider accepts assignment of benefits and submits claims, and therefore earns the right to appeal and sue – or the provider does none of those things. These rights are not discrete; they are a package deal, inseparable from one another. Each right – the right to submit claims, the right to appeal a denial, and the right to sue under ERISA – has “not for individual sale” marked on its label. The confusion doesn’t stop there, though. Coming back to the Department of Labor’s answer to its own frequently asked question, the Department has stated that “[t]ypically, assignments are not a grant of authority to act on a claimant’s behalf in pursuing and appealing a benefit determination under a plan.” This is a correct statement, although very misleading in context. It is true that an assignment of benefits does not grant a provider authority to act on a claimant’s behalf – because a provider who has received an assignment of benefits is a claimant unto itself, and is not acting on anyone else’s behalf. The provider therefore needs no authority to act on anyone’s behalf. Where do we go from here? There is conflicting guidance; FAQs are suggestive rather than binding, but most take them as gospel nonetheless, since they are explicitly designed to be written in plain English rather than the legalese of the regulations. The rules surrounding who has what rights and under what circumstances are undoubtedly confusing at times; guidance provided by our regulators is sometimes confusing, vague, and – at times – even contradictory. This is one of those times, and affording all relevant rights to medical providers is an important topic now more than ever in the face of incoming bouts of regulatory scrutiny of the self-funded industry and the fiduciaries who act within this space. As health plans struggle to contain costs, health plan administrators, third-party administrators, and brokers should be careful not to handicap themselves by employing the same thinking as prior decades simply because that’s what has always been done. Performing an in-depth review of claims and appeal processes – and the rest of the health plan to boot – is the best way of staying ahead of the curve and ensuring compliance and viability. Attorney Jon Jablon joined The Phia Group’s legal team in 2013. Since then, he has distinguished himself as an expert in various topics, including stop-loss and PPO networks, focusing on dispute resolution and best practices. In 2016, Jon assumed the role of Director of The Phia Group’s newly-created Provider Relations department, which focuses on all things having to do with medical providers – including balance-billing, claims negotiation, general consulting, and more. References  Benefit Claims Procedure Regulation FAQs, located at https://www.dol.gov/agencies/ebsa/about-ebsa/our-activities/resource-center/faqs/benefit-claims-procedure-regulation. 29 CFR 2560.503-1(a) (“[T]his section sets forth minimum requirements for employee benefit plan procedures pertaining to claims for benefits by participants and beneficiaries (hereinafter referred to as claimants).”). Brown v. BlueCross BlueShield of Tennessee, Inc., 827 F.3d 543, 547 (6th Cir. 2016) (internal quotations and citations omitted). North Jersey Brain and Spine Ctr. v. Aetna, Inc., 801 F.3d 369, 372-373 (3d Cir.2015). QSEHRAs: End-of-Year Legislation Provides a New Health Care Option for Small Employers Tucked at the end of the recently enacted 300-plus-page 21st Century Cures Act (Cures Act)1 is a provision that offers certain small employers a new opportunity to help employees purchase individual market major medical coverage and pay for other medical expenses. The new health reimbursement arrangement vehicle, called Qualified Small Employer Health Reimbursement Arrangements (QSEHRAs), is available to employers that are not subject to the Affordable Care Act (ACA) employer responsibility penalties â&#x20AC;&#x201C; i.e., employers that have less than 50 full-time equivalent employees and thus are not applicable large employers (ALEs). Many small employers are likely to find QSEHRAs attractive, but there are some features that should be looked at carefully before deciding to move forward. These include a requirement that a QSEHRA can only be funded through direct employer contributions (meaning that no employee salary reduction contributions are permitted), nondiscrimination rules, and a provision prohibiting employers from maintaining another group health plan. Why QSEHRAs? The Cures Act provision is designed to overrule agency guidance under the ACA prohibiting employer arrangements that seek to pay or reimburse the cost of individual market major medical insurance purchased by employees. This guidance specifically provides that stand-alone health reimbursement arrangements (HRAs), meaning HRAs that are not integrated with another group health plan, are not permitted. 2 While these restrictions are not clear from the statutory provisions of the ACA, regulations and other administrative guidance preclude this type of arrangement on the basis that they violate one or more ACA requirements applicable to group health plans, in particular, preventive care requirements and/or the prohibition on annual dollar limits on benefits. The federal tri-agencies (Department of Labor, Department of Health and Human Services, and Internal Revenue Service/ Department of the Treasury) use the broad term “employer payment plan” to encompass the types of arrangements prohibited under this guidance. In some cases, even post-tax arrangements for the cost of individual market major medical insurance are not permitted, depending upon the level of employer involvement in the arrangement. Prior to enactment of the Cures Act, employers that adopted these types of arrangements were subject to a $100 per person per day excise tax under Internal Revenue Code § 4980D (for private employers) or a $100 per day penalty under Public Health Service Act § 2723(for governmental employers). The Cures Act allows small employers to adopt this type of HRA arrangement, provided the requirements in the Act are followed. QSEHRAs are not subject to the ACA market reforms and are not subject to COBRA requirements. large employer (ALE) as defined under the ACA employer responsibility penalties under tax code § 4980H. Under 4980H, ALE status is determined on a controlled group basis, so that for an employer to be eligible for a QSEHRA, the entire controlled group must collectively employee less than 50 full-time equivalent employees in the prior calendar year. “group health plan” for any employees. The Cures Act does not specifically define “group health plan” for purposes of the requirement that a small employer adopting a QSEHRA cannot offer a group health plan to any employee. The definition of group health plan in the tax code is fairly broad and includes more than just major medical coverage. For example, health flexible spending arrangements (FSAs) and supplemental benefits such as dental and vision plans are considered group health plans for some purposes (e.g., COBRA). It is most likely that such arrangements were not intended to be prohibited. The purpose of the requirement that the employer could not offer both a group health plan and a QSEHRA is to prevent “cherry picking;” that is, offering a group health plan to some “healthy” employees but not others, with the potential result that higher-risk individuals would be in the individual health insurance market. Supplemental coverage does not present this same risk. Permitted Contributions Salary reduction contributions to a QSEHRA are not permitted. Thus, a QSEHRA must be funded solely by the employer. Moreover, as discussed below, the prior agency guidance would seem to continue to prohibit employees from paying any additional cost of the individual major medical coverage on a pre-tax basis. Employees who have not completed 90 days of service; Employees who have not attained age 25; Part-time or seasonal employees; Employees covered by a collective bargaining agreement; and Nonresident aliens who receive no earned income from the employer from sources within the United States. “Proof of Coverage” Requirement Part of the definition of a QSEHRA is that the arrangement provides for the payment or reimbursement of medical expenses as defined under tax code § 213(d) “after the employee provides proof of coverage.” The term “coverage” is not defined for this purpose. While the overall objective of the legislation is to enable small employers to offer their employees a means of paying for individual market coverage on a pre-tax basis, the statutory language does not on its face restrict coverage in this context to individual market coverage. Thus, it appears that any type of health coverage would potentially meet this coverage requirement. Supplemental indemnity coverage would not be eligible due to the IRS’ interpretation that such coverage does not qualify as a 213(d) eligible expense even though such coverage may qualify as an excludable § 106 accident or health plan under when funded by the employer directly or through a cafeteria plan. It is not entirely clear how this requirement will be enforced. Because this is part of the definition of a QSEHRA, it appears that arrangement will not be exempt from the ACA requirements if the employer does not obtain proof of coverage from the employee. While the statute does not address what steps an employer would need to take to verify coverage, relying on a certification from the employee could be a reasonable approach. As noted above, if the individual does not have minimum essential coverage (MEC), any reimbursements are taxable to the employee. the arrangement for less than a full year. The dollar amounts are indexed in $50 increments for inflation after 2016, based on changes in the Consumer Price Index for All Urban Consumers (the same index used for purposes of determining rate brackets under the income tax rules). Tax Treatment of Reimbursements Reimbursements are tax-free to the employee if the employee has MEC for the month in which the expense is incurred. MEC is defined under the ACA rules under tax code § 5000A(f). The QSEHRA itself is not MEC, so the employee must have some other type of coverage (e.g., in many cases, the individual major medical coverage they are purchasing) to qualify for tax-exempt treatment. The language does not restrict MEC to any particular type of coverage and thus, for example, would appear to include individual market coverage whether purchased on or off the Marketplace, group health plan coverage through another employer, and Medicare. Cadillac Plan Tax Benefits under a QSEHRA are taken into account for purposes of the so-called Cadillac plan tax under tax code § 4980I, currently scheduled to go into effect in 2020. For Cadillac plan tax purposes, the value of the coverage under a QSEHRA is the maximum amount of permitted benefit available under the arrangement to the employee and not the specific amounts reimbursed. Even though QSEHRAs are subject to the Cadillac tax, it seems unlikely that the tax would apply with respect to such arrangements, assuming that the tax does go into effect. This is for two reasons. First the maximum permitted benefit is significantly less than the Cadillac plan tax thresholds, which are $10,200 for single coverage and $27,500 for family coverage. These are the 2018 amounts; the thresholds will be higher in 2020 and are indexed in subsequent years. In addition, because QSEHRAs are available only to employers that do not have another group health plan (other than possibly certain types of supplemental coverage), no other coverage of that employer is likely to push the value over the threshold. Coordination with ACA Premium Tax Credits There is a special rule for coordinating QSEHRAs with eligibility for premium tax subsidies. An employee who is provided a QSEHRA is not eligible for a premium tax credit if the QSEHRA is “affordable.” Affordability for this purpose is computed in a manner similar for other employer coverage. The QSEHRA is considered affordable for a month if excess of the self-only premium under the second lowest cost silver plan offered in the relevant individual health insurance market over 1/12 of the employee’s permitted benefit under the QSEHRA does not exceed 1/12 of 9.5 percent of the employee’s household income. The 9.5 number is indexed. The legislation did not provide any safe harbors for employers to determine household income. However, further guidance would be welcome from the IRS on what safe harbors it might allow, such as those it developed to determine affordability of coverage under tax code § 4980H(b). If QSEHRA coverage does not meet the affordability standard, then the monthly premium tax credit is reduced by 1/12 of the annual benefit under the QSEHRA. subject to the ACA market reforms and other requirements applicable to group health plans. Thus, an employer that fails to meet the applicable requirements could be subject to the $100 per person per day excise tax or penalty (as applicable). Employers adopting a QSEHRA may also be subject to penalties for failing to meet applicable reporting requirements. Effective Date and Transition Rule The QSEHRA provisions are effective for years beginning after December 31, 2016. In addition, the legislation extends transition relief previously provided under IRS Notice 201517 to any plan year beginning on or before December 31, 2016. The federal tri-agencies have issued a FAQ describing how this transition relief applies after enactment of the Cures Act. 3The FAQ states that consistent with Notice 2015-17, the relief from penalties does not extend to stand-alone HRAs or other arrangements that reimburse medical expenses other than insurance premiums. Further, the FAQ clarifies that pre-Cures Act agency guidance continues to apply for employer arrangements that reimburse individual major medical premiums that are not QSEHRAs (e.g., employer payment plans and non-QSEHRA HRAs). Notice, Reporting, and Substantiation Requirements Employers are required to notify eligible employees of a QSEHRA 90 days before the beginning of the year in which the employer will fund the arrangement. The notice must include the amount of the benefit under the QSEHRA and also inform the employee that payments may be taxable if the employee does not have MEC. Employers must report the permitted benefit on the employee’s Form W-2 for the year. Employers will also likely need to have procedures to substantiate the medical expenses that are reimbursed under the QSEHRA. The Cures Act specifically authorizes the Treasury Department to adopt substantiation rules. References  The text of the Cures Act may be found at https://www.congress.gov/bill/114th-congress/house-bill/34/text. The QSEHRA provision is in section 18001. The act was signed by President Obama on December 13, 2016. The agency guidance prohibits pre-tax salary reduction and most other forms of employer reimbursement of individual major medical insurance. Other than as specifically allowed for QSEHRAs, this prior agency guidance continues to prohibit such “employer payment plan” arrangements. uring the last few years, the term ORSA has become a watchword. ORSAs (Own Risk and Solvency Assessment) are becoming an important component to an insurer’s Enterprise Risk Management (ERM) framework. Captives are not yet required to conduct ORSAs, but the time may not be far off when they will be.Yet many industry professionals recommend captives add ORSAs into their roster of risk assessment and solvency tools. YOUR BEST PARTNER IN A COMPLEX BENEFITS WORLD Meet the bigger, brighter Sun Life. It’s simple: Sun Life picks up where today’s health care coverage leaves off. We do it with a robust product portfolio for businesses of all sizes. With a new focus on workforce productivity and cost containment. With America’s second-largest dental network. * And with our commitment to doing the right thing. Want to feel “benefits confidence”? Go with the best partner. Ask your broker how Sun Life can help you. At its most simplistic, ORSA is an internally conducted survey of current and future risk borne by an insurance company. However, it is not a one-off assessment, but an on-going evaluation that is intended to evolve as a company grows and changes. It can be a key component to a company’s ERM structure and can help a company anticipate potential capital needs. No two companies will conduct the same ORSA—there is no set way to pursue it. The four steps involved in an ORSA are: identifying major risks; establishing a process for measuring those risks; managing and alleviating major risks; and documenting the assessment process and results. These basic guidelines will allow companies developing an ORSA to adapt the process to their individual needs and to adapt the assessment based on changes to their business. “ORSA is not something to be done once and put on a shelf—it is an ongoing process,” said Tim Cremin, Consulting Actuary with Milliman, Inc. According to Sandra Bigglestone, Director of Captive Insurance with the Vermont Department of Financial Regulation, “ORSA is about determining future solvency needs based on risk measurements and reporting the results.” ORSA was initially developed as part of Solvency II, the directive initiated by the European Union that addresses the levels of capital European insurers must have. In 2012, the NAIC’s Financial Condition (E) Committee passed the Risk Management and Own Risk and Solvency Assessment Model Act. This act, which became effective January 1, 2015, requires medium-tolarge insurers to “regularly perform an ORSA and file a confidential ORSA summary report” with their regulator upon request. In addition, starting January 1, 2018, ORSA will be required of state insurance departments for NAIC accreditation. the actuary, investment advisor or other insurance consultants. The price tag will depend on where the resources will come from and what work the captive has already done. The Self-Insured Health Plan Executive Forum (formerly known as the TPA/MGU Excess Insurer Executive Forum) is March 28-29, 2017 at JW Marriott Tucson Starr Pass Resort & Spa, in Tucson, Arizona. Executives involved with the establishment, management and/or support of self-insured group health plans will find this educational conference exceptionally valuable. Anticipated attendee profiles include: corporate benefit directors, third party administrators, brokers/consultants, stop-loss insurance carriers/MGUs, captive managers and industry service providers. Make sure to get there early and help support the Self-Insurance Education Foundation, by participating in their always popular golf tournament the morning of the 28th.The golf tournaments are open to all conference registrants, and promise to be an excellent opportunity to network with executive-level industry colleagues and peers. The tournaments will be a scramble format and you can either sign up as an individual or reserve a foursome. All skill levels are welcome! Contact Shane Byars for more information at sbyars@siia.org. Highlights of the Forum’s educational program include the follow sessions: Legislative/Regulatory & Political Advocacy Update As of this date, most state legislatures will be back in session, there will be a new presidential administration and Congress, and SIIA’s lobbying team will be running fast to represent the interest of the membership. Ryan Work, Vice President, Federal Government Relations for SIIA and Adam Brackemyre, Vice President, State Government Relations for SIIA will provide detailed updates of important legislative/regulatory developments and the association’s political advocacy strategy at both the state and federal levels. Winning Technology Strategies for the Self-Insurance Marketplace Corporate technology is often seen from a tactical perspective –mostly employed to advance operational objectives. But for an increasing number of successful companies in the marketplace generally, and in the health care space specifically, technology investments are embedded as part of the strategic planning process. Joe Hodges, President, Inetico, will moderate a discussion of senior executives of companies operating within the self-insurance marketplace guidance on how to view and evaluate technology strategies in a way that will help them grow their business and strengthen their corporate brands. For more information, registration and sponsorship opportunites, please visit www.siia.org. We look forward to seeing you in Tucson! Robby Kerr joins AIG as the National Sales Director for the Organ Transplant product Robby comes to AIG with a wealth of experience in the self-funded industry, which will enable him to significantly expand Organ Transplant sales and distribution. Most recently, Robby served as Executive Vice President and Chief Marketing Officer at Group Resources, a nationwide third-party administrator, as well as a pooling partner for AIG. In addition, Robby is an accomplished leader, currently serving on the Self Insurance Institute of America (SIIA) Health Care Committee. Transplant business with our key strategic distribution partners.” Robby is based in AIG’s Atlanta office and can be reached at robert.kerr@aig.com. Silver Members POMCO Promotes Stephanie Fraser as Manager, Appeals POMCO, one of the nation’s largest benefits administrators, has announced that it has promoted Stephanie Fraser to the position of Manager of Appeals. Fraser has been with POMCO for seven years. Over time, she has held positions as a Claims Associate, Service Improvement Specialist, and most recently was the Supervisor of Operation Services, Call Center. In Stephanie’s new position, she will be providing direction and leadership to the Appeals Department staff. Fraser will also be responsible for ensuring that procedures that are currently implemented for appeals are within company policy and compliance of all state and federal laws and regulations. “Stephanie is an outstanding choice as the Manager of Appeals,” said Kathleen Lamb, Esq., General Counsel and Vice President, Compliance at POMCO. “She brings a wealth of knowledge to the department and we are fortunate to have her as the leader of our team.” Stephanie plans to apply and draw from her knowledge, information, skills, and management capabilities both from working at POMCO, as well as prior professional experiences. Brokers will also benefit from the web portal, as they will now be able to create an account in order to quickly and easily submit RFPs. In addition, brokers will be able to contact UME from within the portal. Anne Marie Chapman, Chief Executive Officer, says, “We are excited about the possibilities opened up by the creation of this application. We strive to remain relevant and address the changing needs of our partners and clients, and I believe that MyUME.com will lead to greater efficiency and client satisfaction, as well as provide future opportunities to meet the changing needs of those we strive to serve.” Once the app has been launched, brokers will be able to access the site using individual login credentials that will be issued by UME. Underwriting Management Experts (UME), is a full service managing general underwriter (MGU) of employer stop-loss coverage. We provide flexible, innovative stop-loss, captives and life products that meet the unique needs of our partners. 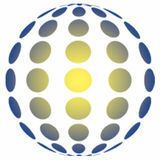 UME offers professional expertise, personalized service and creative solutions to an ever-changing market place. Contact Samantha Gallagher at 267-519-1900 Ext. 703 or Sgallagher@umexperts.com and visit www.umexperts.com. UME announced the release of MyUME. com, a mobile application and web portal designed for submission of medical application questionnaires and RFPs. The app was launched January 1, 2017. Eldorado, a provider of enterprise core administrative platforms, announced the strategic partnership with INETICO Inc. and CareValet, LLC to offer clients of its Javelina and HEALTHpac systems the latest technology available to allow them to take control of their healthcare. CareValet is a consumer driven mobile application that changes the way members select providers & schedule appointments for their healthcare services. The MyUME.com app will feature a dual benefit for both brokers and applicants. Applicants will now be able to fill out and submit their medical application questionnaires online through the mobile web app or via their desktop computer. When members submit their questionnaires, copies will be sent to both UME and the broker, facilitating the communication between parties. The new partnership supports the consumer being in control of their own healthcare with the power to make the best decisions for themselves and their family. Members are empowered to make in-network provider decisions based on cost and quality. An electronic provider scheduling component sends medical ID cards & plan information to the provider at time of scheduling. Members can select hospitals, emergency rooms, specialists, primary care providers and more. Patients will pre-certify themselves by selecting a provider and activating care nurses for Utilization Management, Care Management & Disease Management. INETICO provides access to their own care givers or to independent teams. Consumers can receive messages directly, for triage purposes on their smart phone, and pop up messages will appear to remind them of appointments and medical follow up. The application is telemedicine enabled and can even schedule transportation if necessary. Specialty Care Management, LLC (“SCM”), the premier source of innovative catastrophic claim cost containment services, is pleased to announce that it has formally developed a strategic alliance with The Phia Group, LCC. With The Phia Group, SCM will now offer a Renal Claims Defense program, eliminating exposure to legal and medical costs associated with renal dialysis claim analysis, repricing, and containment. Both The Phia Group and SCM have proven records of innovation and performance, and are excited to bring forth new programs and strengthen existing ones. “The Phia Group is pleased to work with Specialty Care Management,” remarked Ron E. Peck, The Phia Group’s Senior Vice President and General Counsel, “because SCM appreciates the importance of powerful plan document language, and they understand the need to operate in accordance with those terms. They have worked with us to prepare a potent defense strategy – protecting both benefit plans and participants.” For more information about Specialty Care Management LLC, please contact Rick Garrison at 267-544-0365 or email at marketing@specialtycarecm.com. For more information about The Phia Group, please contact The Phia Group’s Sales Executive, Garrick Hunt, at 781-535-5644 or Info@PhiaGroup.com. Another $500,000 claim? We can help. EthiCare saves claim payers money. Period.